Elon Musk's new master plan is already kicking into gear. Tesla (TSLA) expects to unveil a semi-truck and minibus in the next six to nine months and then enter production in less than five years, Musk said on a conference call with analysts Wednesday. The Tesla Semi, for cargo transport, and the smaller bus, built on the Model X platform for more efficient commuting, were first teased in Musk's "master plan" shared last month. But no firm timetable was provided then. Musk's ambitious promises to broaden Tesla's product offerings come as the company is bleeding money. The company's losses ballooned to $150 million in the quarter ending in June, more than twice what Wall Street had expected. Production on the Model 3, its first mainstream electric car, and building its battery factory have proven more expensive than anticipated. Tesla now expects to invest $2.25 billion this year to design, test and build enough Model 3 cars to meet customer demand -- up from an earlier estimate of $1.5 billion. 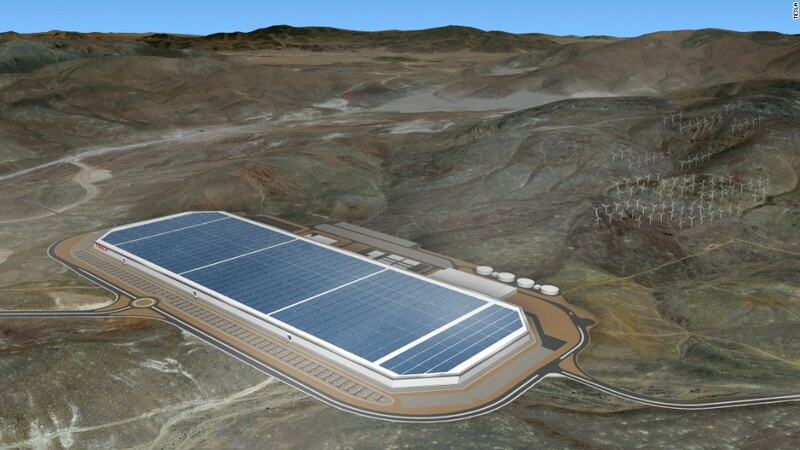 That would be a significant investment for any car company, but particularly for Tesla, which consistently loses money each quarter and has offered to acquire SolarCity, another company with Musk as a chairman and large investor -- and one that also loses money. In addition to mounting expenses, Tesla has struggled to meet its production goals. It delivered 14,402 new Model S and Model X vehicles in the quarter, falling well below its earlier estimate of 17,000. "We were in production hell for the first six months of this year. Man it was hell," Musk told analysts on the call. "Then we managed to climb out of hell in basically part way through June. Now our production line is humming -- and now suppliers mostly have their sh*t together." Musk then revealed that he plans to visit one supplier this weekend who apparently does not have its sh*t together in order "to figure out what the hell is going on there." Rather than take a breath after easing the production concerns, Musk is pushing ahead with even more new products -- and doubling down on at least one controversial effort, autopilot. Weeks after Tesla reported its first known fatality of a driver using autopilot, Musk said the company's "top two priorities" are the Model 3, "followed by full autonomy." "I'm very, very optimistic about this," Musk said on the call. "It blows me away, the progress we're making. If I'm this close to it and it's blowing me away, it's really going to blow others away when they see it for the first time." The earnings report followed what has been a roller coaster month, even by the standards of a company like Tesla that has previously teetered on the edge of bankruptcy. Among other concerns, Tesla now faces skepticism over its proposed acquisition of SolarCity and a federal investigation into the autopilot crash. When asked on the call how Tesla hopes to build confidence for autopilot among consumers and regulators, Musk instead appeared to scoff at the decision of regulators to open an investigation in the first place. "We're not totally clear why they opened an investigation because they actually had all the information before they opened a formal investigation," he said. "We already gave them all the information." Tesla's stock was flat in after hours trading following the earnings release.